Painted turtles are one of 10 turtle species you might see in Michigan this spring! Landowners who want to ensure that their property remains forested and sustainably managed forever are invited to apply to participate in the Forest Legacy Program. The nationally competitive program, administered by the U.S. Forest Service, uses federal and matching funds to sustainably manage environmentally important forests. This may involve buying the property outright or purchasing development rights through a conservation easement. The program provides economic incentives to landowners to keep forests as forests, encourage sustainable management and support strong markets for forest products. 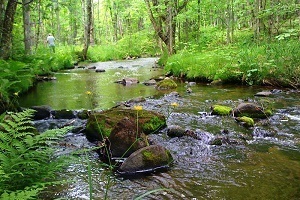 One successful Michigan project is the Pilgrim River Forest on the Keweenaw Peninsula, a 1,299-acre project awarded $550,000 in federal funding matched by local partners with $350,000. Currently awaiting a funding decision is the Elk Forest at Black River project (in Montmorency County), which would protect 597 acres with $1.5 million from the Forest Legacy Program and a $500,000 match. All interests in land acquired by the Forest Legacy Program last forever, and agreements must contain language to ensure perpetuity. Michigan’s program also requires that land remains open to the public, at least for nonmotorized access. Landowners who don’t have an existing management plan will need to create one before a project can be completed. Applications are due June 14. Projects that meet eligibility requirements will be reviewed and prioritized. The DNR may submit the top three projects to compete nationally for funding. Projects nominated by June 14 will compete for funding during fiscal year 2021, which begins Oct. 1, 2020. The state can request up to $7 million for an individual project. 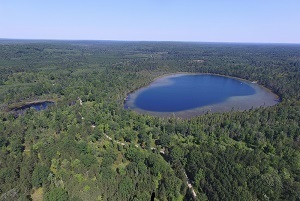 More than 155,000 acres in Michigan are managed through the Forest Legacy program. Learn more at Michigan.gov/PrivateForestLand or contact Kerry Wieber at 517-643-1256. For many people, Fourth of July celebrations are all about the fireworks; the louder and brighter, the better! For others, the opportunity to gather with family and friends to make some memories in a calmer setting is most important. 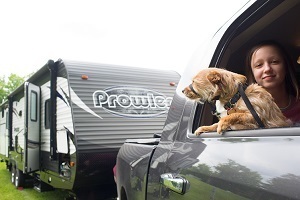 If you see yourself more in the second group, consider booking campground reservations at one of several state parks offering Fireworks-Free Fourth of July opportunities – campground options that are situated farther away from traditional fireworks displays. These options are appealing to veterans, families with very young children, visitors with pets and others who might appreciate honoring our nation's Independence Day in a quieter way. State park campground reservations can be made up to six months in advance. Book your favorite spots now! Visit MIDNRReservations.com or call 800-44PARKS (800-447-2757). With warmer weather on the way, the DNR encourages Michigan boaters to prepare now for the coming season by making sure they’re boater safety-certified. According to the U.S. Coast Guard, in 2017 there were 4,291 recreational boating-related accidents that resulted in 658 deaths, 2,629 injuries and approximately $46 million dollars in property damage. Operator inattention, improper lookout, operator inexperience, machinery failure and alcohol use rank as the top five primary contributing factors in accidents, the Coast Guard said. The DNR offers boating safety education as a self-paced, online course and as a traditional classroom experience. 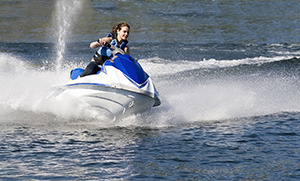 Learn more or register for a class at the DNR boating safety certificate webpage. Questions? Contact Lt. Tom Wanless, 517-284-6026. Michigan's Office of the Great Lakes, partner agencies and local volunteers recently marked an important milestone in the restoration of the Menominee River. 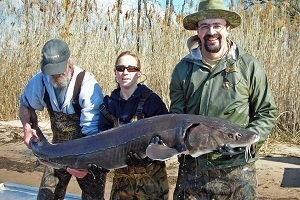 In case you missed it, this story told of a decade-long effort that benefited Michigan and Wisconsin communities with a healthier environment and better habitat for sportfish, threatened lake sturgeon, beneficial pollinators, waterfowl and other species. Fish passage, native plants and 51 acres of wetland and upland habitat were restored. Valuable habitat was historically lost on the Menominee River due to wetland destruction, invasive species, the cutting-off of fish spawning areas, and “shoreline hardening” – the construction of armored seawalls. ... Read the full story. Learn from Outdoor Skills Academy pro-staff at the March 23 Steelhead Fishing Clinic at the Carl T. Johnson Hunt and Fish Center. Lunch, some tackle and expert instruction are included! Don’t miss out on the final weeks of rabbit, hare and squirrel hunting, open through March 31. Remember to pick up your new base license for 2019! They're available now online or at retailers. Would you like to help take care of the natural areas at state parks? We're always looking for dedicated volunteers to lend a hand on stewardship workdays. Sign up for email updates today.